All the talk and fanfare surrounding the recent US Fish & Wildlife Service proposal to designate “critical habitat” for the jaguar in the United States won’t amount to a hill of bureaucratic beans unless concrete actions are taken soon to protect the most threatened habitat, namely that which allows jaguars to move between mountain ranges and around existing developed areas. Shockingly, such protection is omitted from the agency’s current proposal. Wildlife corridors are an absolute must for any jaguar population, and agency officials know it. Habitat corridors are at extreme risk from land development and related impacts. Many have already disappeared and most that remain are critically imperiled. Despite this campaign’s best efforts, the US Fish & Wildlife Service continues to ignore the habitat corridor issue. We have begged and pleaded with U.S. Fish & Wildlife Service officials in Arizona and New Mexico to get working on protecting habitat corridors for endangered jaguar, wolf, and ocelot, as well as other wildlife. It’s time for the agency to “get real” about jaguar recovery needs, cut through its own red tape, rearrange some priorities, and work in earnest with landowners, counties, conservation organizations, and other federal agencies in a concerted effort to tackle the utmost conservation problem facing the Southwest – fragmentation of wildlife habitat. #1. 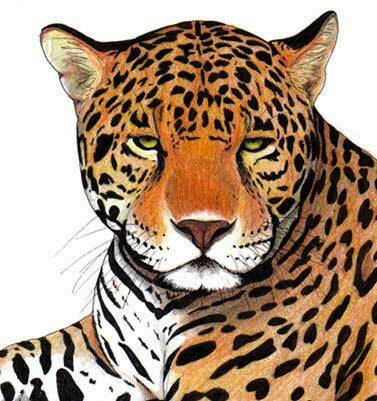 A federal recovery program that will restore the jaguar as a native species of the United States. Like all other endangered species in the US, the Southwest jaguar needs a Recovery Plan. We wrote to Interior Secretary Ken Salazar on March 6, 2009 (letter_salazar_3-6-091) calling for precisely that. A month later, we received a letter from Benjamin Tuggle (reply-tuggle4-7-09), a regional director of the US Fish & Wildlife Service (USFWS), who was responding for Secretary Salazar. But Mr. Tuggle, a party to the Bush-era decision not to help the jaguar, merely stated what we already know: that the USFWS is reviewing the recent court decision by Judge Jon Rolls (US District Court of Arizona) indicating that the Interior Secretary is in violation of the US Endangered Species Act. So, we wrote a second letter to Secretary Salazar ( letter_salazar_4-16-09) explaining why a recovery plan for the jaguar is urgently needed, and that continued legal proceedings should be avoided. We are now trying to arrange a meeting with the US Fish & Wildlife Service’s new director, Mr. Sam Hamilton. This is a matter of national wildlife conservation policy to be decided by Sec. Salazar and Dir. Hamilton. The Obama Administration should not stand idly by and let this issue remain in federal court for who knows how long. #2. Border security measures that do not prevent jaguar movement between the US and Mexico. We wrote to Janet Napolitano, Secretary of Homeland Security, on January 30, 2009 ( letter_napolitano1-30-09), explaining why a massive border fence was an awful idea given impacts on the jaguar and a host of other reasons, and suggesting the creation of an international conservation area along the border. Mr. Eugene Scheid of the U.S. Customs and Border Protection (CBP) agency, was kind enough to reply on behalf of Sec. Napolitano (reply_cbp-3-30-09) . Comment: It is great that Mr. Scheid and the CBP is open to this important idea. However, clearly the intiative for a bi-national conservation area will have to come from Homeland Security Secretary Napolitano and Interior Secretary Salazar. So, we again wrote Sec. Napolitano suggesting that she discuss the matter with Sec. Salazar and President Barack Obama, noting that “our proposal is worth careful consideration as it would contribute immensely to the conservation of widlife and natural ecosystems in a priceless ecological area, could generate new opportunities for law enforcement and security on both sides of the border, and would be a concrete as well as symbolic action to help strengthen the US-Mexico relationship.” (Read our letter to Janet Napolitano: Napolitano_letter5-20-09). Our Request: Please end fence construction and begin fence removal where necessary to protect the jaguar and other transnational wildlife. Mr. Scheid also informed us of an agreement between his agency and the US Department of the Interior to “mitigate unavoidable impacts” of fencing on the jaguar and on cultural and natural resources. Comment: It seems that Mr. Scheid may be badly misinformed about the extent of the hugh metalic fence across the border between Arizona and Mexico. We contacted his office for clarification and asked for their map of fencing locations, and for specifics on the anticipated “mitigation” and exactly how it would help the jaguar (CPB_letter5-20-09). We have since received a helpful reply from Mr. Christopher Oh, director of the Environmental Division, US Customs and Border Protection. Efforts at mitigating border fence impacts on the jaguar should be part of an overall program for jaguar recovery. We urge Sec. Napolitano to discuss the need for a jaguar recovery plan with Sec. Salazar, led by the US Fish & Wildlife Service (Napolitano_letter5-20-09). #3. An Arizona Game and Fish Department policy in support of jaguar recovery. Arizona’s state wildlife agency, as well as New Mexico’s, needs to agree to jaguar recovery and begin working towards that end. Our latest call for jaguar recovery is to Larry Volyes, director of AGFD (letter_l-voyles_4-16-09) asking that him to commit his agency to reestablishing a population of jaguars, noting similar efforts in Arizona on behalf of endangered species such as the black-footed ferret and the Californian condor. We have since asked to meet with Mr. Volyes to discuss jaguar recovery. #4. Suspension of capture related research following the recent death of an Arizona jaguar (Macho B). On March 9, 2009, we wrote to Rowan Gould, then acting director of the US Fish & Wildlife Service, asking him to revoke authority to state wildlife agencies to capture jaguar for radio-collaring (letter_usfws_3-9-09). In lieu of that action, we asked for a complete scientifically based justification for risking the lives of rare jaguars (obviously somewhat rhetorically, as we firmly believe there is none). We received a reply from the agency that fell short. You are currently browsing the archives for the How to Save the Jaguar category.